Private Applicators renew every 5-years on the anniversary of certification. Commercial Applicators renew every 3-years on the anniversary of certification or licensure. All applicators must complete 5 credits that pertain to their certification or license category. If certified or licensed in multiple categories, applicators still only need to complete 5 credits. All credits must be taken within the last 12 months of the 3-year recertification cycle. These courses DO NOT include the $75 recertification fee. A link to renew your certification or license and pay the recertification fee will be provided at course completion. 5 Credits within the last 12 months of the license cycle. This course discusses pest identification and management strategies for corn, soybean, grain sorghum, rice and cotton and the recommended control for each. It also addresses the concerns of the beekeeping industry such as factors affecting honey bee decline and pollinator stewardship. This course teaches the basics of pest and disease management in enclosed spaces where exposure is increased, and the different tools and techniques needed to successfully control the environment. It also covers a range of topics important to pesticide resistance management. This course teaches the basics of disease management for landscape plantings, cost-minimizing strategies, and tools and techniques needed to successfully control disease in the landscape. It also addresses the concerns of the beekeeping industry such as factors affecting honey bee decline and pollinator stewardship. This course teaches the basics of pest and disease management for various turf grasses, the steps involved, and the different tools and techniques to successfully control the environment. A chapter covering the identification and control of noxious weeds is included, along with a chapter devoted to integrated pest management as it relates to turf management. Tailoring management strategies for aquatic weeds in Mississippi depends on proper plant identification. This course teaches the basics of aquatic weed identification, including how to take photographs to aid in identification, and various approaches to aquatic plant management. Identification and control strategies for several weeds on the federal noxious weeds list are also addressed. The course also covers the importance of honey bees and outlines strategies that can be implemented to find the balance between managing pest and protecting pollinators. This course will help applicators understand the five main groups of pests and the causes of plant disease and how to decide on management strategies. It also covers the importance of honey bees and outlines strategies that can be implemented to find the balance between managing pests and protecting pollinators. This course focuses on the fundamentals of wildlife damage inspection and will help you understand the risks involved with the inspection process and the PPE that should be used. It also covers a range of mosquito-borne diseases with an emphasis on the Zika virus, its effects and how to minimize transmission. This course will review the techniques to manage vegetation on rights of way and non-cropland industrial sites safely without damage to non-target species or the environment. It also addresses the concerns of the beekeeping industry such as factors affecting honey bee decline and pollinator stewardship. 5 Credits: Category VIII This course is an overview of bed bug management and control as well as an introduction to mosquito management and control. Chemical controls, non-chemical controls, and IPM approaches are covered for both topics. This recertification course also includes a short review of pollinator stewardship. 5 Credits: Category VIII This course covers the basics of mosquito identification and management. Topics include preferred habitat, breeding grounds, and physiological differences as well as common methods of mosquito control as part of an integrated pest management approach. This course addresses the federal pesticide laws that control the labeling, sale and distribution, storage, transportation, use and disposal in the best public interest with more detailed information on labeling, formulations, pest management, transportation, storage & security. This course addresses personal protective equipment & emergency response, hazards & first aid, planning pesticide application and application procedures, and pesticides in the environment. 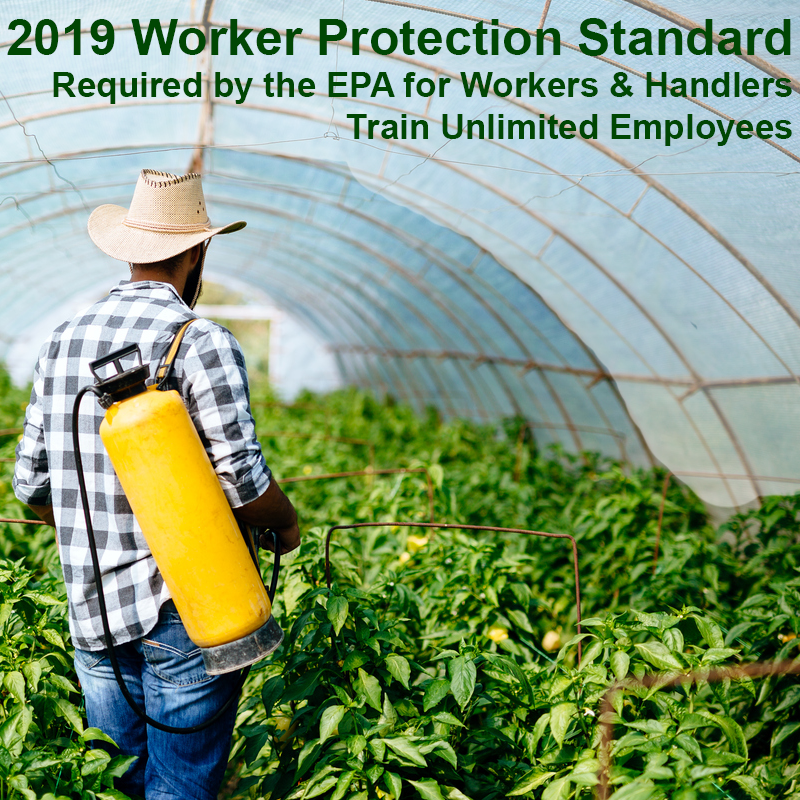 (Handler materials provided through PERC) This EPA Approved Training Program provides everything your business needs to train your agricultural workers. This video program comes in both English and Spanish and trains unlimited workers. Includes Handler Training Guide and Tracking System at No Extra Cost! 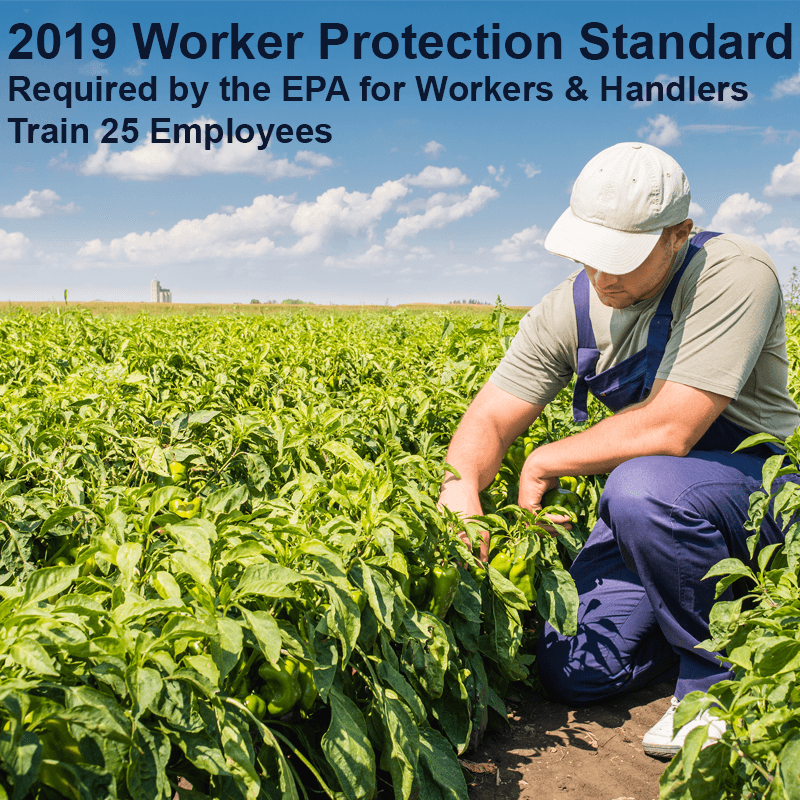 (Handler materials provided through PERC) This EPA Approved Training Program provides everything your business needs to train your agricultural workers. This video program comes in both English and Spanish and trains up to 25 workers. Includes Handler Training Guide and Tracking System at No Extra Cost! 12 Hour | Online HD Video This course is intended as a study guide for the National Pesticide Applicator Certification Core Manual. The test administered by your state, tribe, territory, or federal department/agency will cover this information along with state, tribe, etc. specific information. Passing the core exam is essential to becoming a certified applicator. This course will start you off on the right track and provide a solid foundation of pesticide safety principles. By learning how to handle pesticides correctly, you will be able to protect yourself, others, and the environment from pesticide misuse. This course is intended as a study guide for the Turfgrass Pest Management category exam. This course will start you off on the right track and provide a solid foundation of turf management principles. By learning how to manage your turf correctly, you will be able to protect yourself, others, and the environment from pesticide misuse. Pest management of ornamental plants involves multiple steps. This course will start you off on the right track and provide a solid foundation of ornamental pest management principles. By learning how to manage the landscape correctly, you will be able to protect yourself, others, and the environment from pesticide misuse. This course is intended as a study guide for the Mosquito Management category exam. This course will start you off on the right track and provide a solid foundation to mosquito managment and control the mosquito populations in and around your home or park. Here is short preview from the Pesticide Application Procedures course. We offer the best in Online Pesticide Education providing recertification credits approved by the Mississippi Department of Agriculture Bureau of Plant Industry. Our instructor-led video courses are fast, easy, affordable and will prepare you to pass your exam. This exam prep program is provided in full HD Video accompanied by graphically enhanced text. It is available 24/7 and is mobile friendly so that you can study on the go! Need to obtain your applicator's certification? Check out our Pesticide Applicator Certification Core Exam Prep Course!